As per the result of the Working Conference of Indonesian Heart Association 2019. 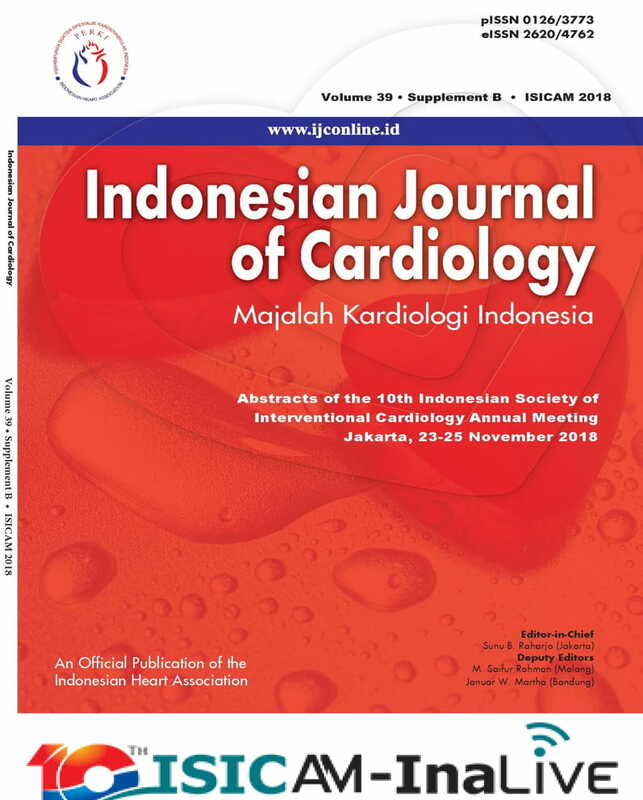 Indonesian journal of Cardiology will only accept submission of manuscripts written in American English. Abstracts of manuscripts are no longer required to be written bilingually and should be written in english only.